This networking group in Grand Forks, North Dakota needed a clean and professional email template to use for sending out a weekly update to their members. They wanted something minimal that matched the great professional look on their website. 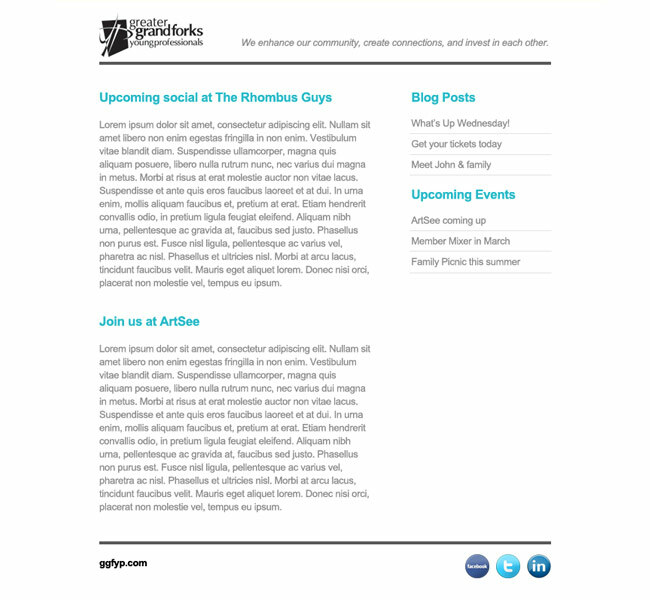 In the email they have room for recent blog posts, upcoming events, and weekly announcements. The look fit their style and allowed them to send great looking emails easily.